From a commencement speech at Wellesley Collegeand rated No. 47 on a list of the top speeches of the century in 1999. 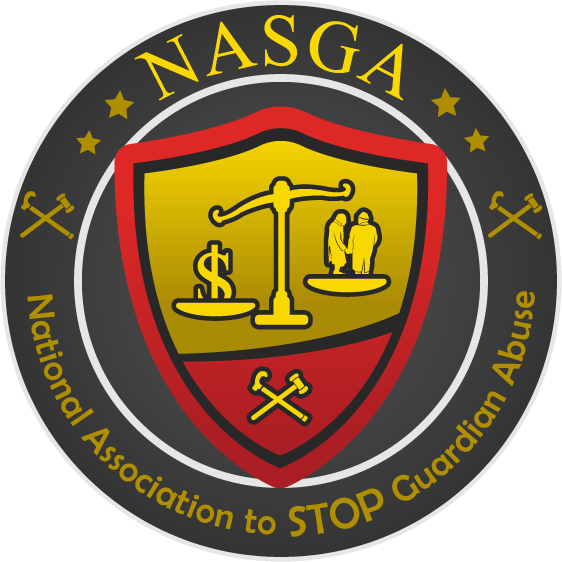 In my last article, I began talking about The National Association to Stop Guardian Abuse (NASGA) and our mission to help those elders and adults trapped in unwanted guardianships—a court-mandated restriction of rights that occurs once a person has been deemed incapacitated by a civil court. How does guardianship happen, and what is the process? After reading hundreds and hundreds of cases, we at NASGA have seen consistencies that may help people understand how to avoid becoming trapped. Here are some key situations to watch for. 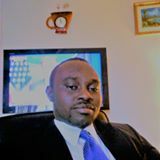 1) Family conflict over an elder’s estate or healthcare that ends up in civil Once a family battle ends up in court, the judge may very well decide that a third-party professional guardian is needed to protect a parent from their children, who will be perceived as causing the elder too much emotional distress. Families need to seek remedies other than court proceedings to repair differences. Otherwise, guardianship is a real danger. Families need to know that if third-party guardianship is established, they will lose the right to make any decisions for their parent, including financial and other intimately personal choices. Assets will be liquidated to cover the costs of court appointees and others caring for the parent. 3) Guardianship companies seeking new “clients.” For-profit companies find vulnerable elders by holding seminars in the wealthiest of senior-citizen centers or clubs, professing to be guardian angels who can take care of your finances and your healthcare, coordinating everything for you. They will seek information from elders in the audience. They will want to know who is living alone without children nearby, who doesn’t have power of attorney in place, and who hasn’t created a will. If questions like these are asked, do not answer—or, better yet, say you’ve got five kids living in the area, whose occupations are a doctor, a lawyer, an FBI agent, a bodyguard, and a special-forces sniper. They will seek information from elders…. Do not answer—or, better yet, say you've got five kids living in the area, whose occupations are a doctor, a lawyer, an FBI agent, a bodyguard, and a special-forces sniper. Inevitably, your “best interest” will include a move to assisted living by force, the sale of your home (with the proceeds eventually going to the company holding guardianship), and the eviction of anyone living with you. It will include loss of access to your bank accounts, which are now in a guardian’s (or conservator’s) hands. It will entail a merciless hemorrhaging of your estate to pay everyone involved in the case. Usually, the people in this arena all work in the same court, which means that the judge knows and trusts the attorneys and everybody else who works on these cases. They’re basically a well-organized team. You could end up under the control of a total stranger who could care less about you and knows little about you. Some guardians are compassionate. Some are not. 4) If you walk into an estate attorney’s office (or a doctor’s office) and see brochures advertising a for-profit guardianship company, think twice. That estate attorney or doctor probably has a relationship with the company, which is why the brochures are If you have an estate to be plundered and your attorney or doctor doesn’t seem trustworthy, walk away. 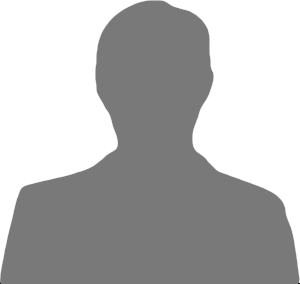 One way to check out an attorney’s reputation is to see whether he/she handles guardianship cases. If he/she does, there is a potential conflict of interest, because attorneys make money off of the “protected” person’s estate. When it comes to your doctor, you might ask directly why he/she recommends the guardianship company. In order to recognize the brochures, you’ll need to research guardianship companies in your area, because often they won’t mention guardianship in the company title, or even in the text. When it comes to being over 65, you are now entering a different segment of society—one that is watched more closely in order to prevent abuse. You are more vulnerable than you were just a few years ago, even if you don’t feel that way. Many people don’t really understand that age 65 is the threshold beyond which you are considered a less functional person than you once were. Your children need to know this, even if you still have all of your marbles. Your children also need to be educated as to the dangers of your being left on your own for long periods of time. Now let’s imagine you are 80 and no one is helping you. Adult protective agencies could argue something like this: If you left a child home alone, what would happen? That child would be removed from the home. The same can happen to an elder. If you have a parent who isn’t quite able to live on his or her own, make sure you have services in place for help in the home, and take care to do background checks and ensure oversight of the situation. Adult children need to know who is caring for their over-65 parents. If possible, be sure that your parent’s caretaker is a Certified Nurse’s Assistant (CNA), a person fully trained in care. It’s important for families to know about these issues, because they will suffer too if a guardianship is put in place over you, the elderly parent. Most families are shocked when they discover what guardianship really is. It’s a punishing loss of rights that entails loss of liberty and potential sorrow for everyone close to you. A guardian can restrict family visits, and even if the guardian doesn’t, visits most likely will be monitored, costing at least $100 per hour—coming out of your estate. We’ll be talking more about guardianship and durable power of attorney in the months to come. In the meantime, please be sure your documents—living will, healthcare power of attorney, and financial power of attorney—are in place. Elders, talk to your children, or better yet, give them this article. Guardianship could happen to you! After decades spent ignoring the growing problem of financial elder abuse and involuntary guardianship, federal and state law-enforcement officials are touting the results of a year-long coordinated sting against suspected perpetrators, resulting in the prosecution of 250 defendants who bilked more than 1 million American seniors out of about $500 million. With the sting, referred to as the “largest coordinated sweep of elder fraud cases in history,” officials put on notice those criminals who target seniors and their vulnerabilities. While seniors and those advocating for senior protections welcome official efforts to prosecute criminals perpetrating offenses, years of relative inactivity from government and law enforcement means that state and federal agencies remain behind the curve in acting as advocates for the senior population as a whole. What’s more, official response to senior financial elder abuse and involuntary guardianship remain reactive in nature. In other words, the years-long state and federal disinterest in the prevention of elder fraud abuse means the problem has been allowed to fester into plague proportions. 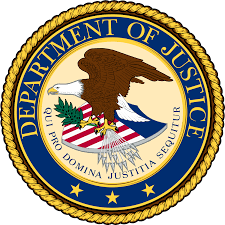 The law-enforcement coordination, according to the February 22 Department of Justice release, involved the DOJ, the Federal Bureau of Investigation, the U.S. Post Office, the Federal Trade Commission, and state attorneys general. Each of these involves deceit and trickery geared toward stealing seniors’ money. Kansas Attorney General Derek Schmidt heads up the National Association of Attorneys General. Elected as president of the body in June 2017, Schmidt is using his tenure to “help all states gather expertise and build capacity to fight elder abuse, neglect and exploitation,” according to a Kansas AG release. 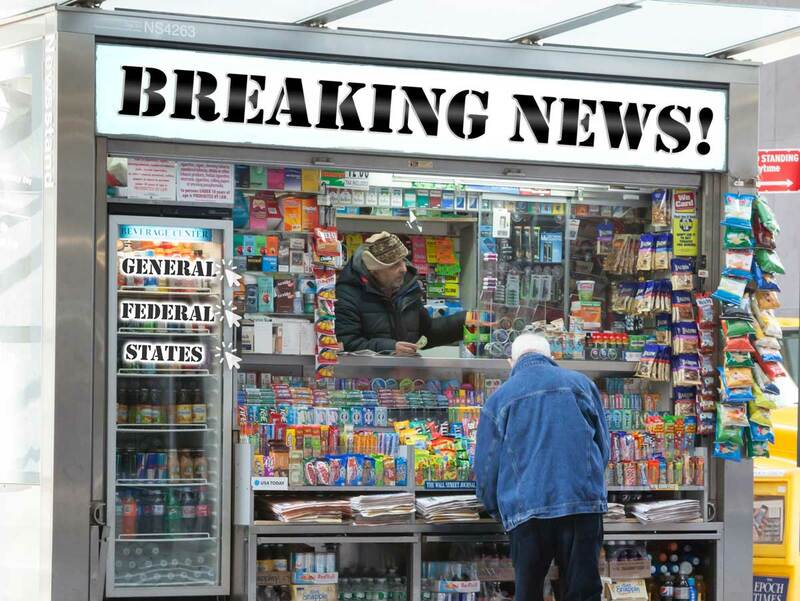 The doubling down on efforts to protect against and prosecute violations of elder fraud comes at a time when the nation’s so-called “silver tsunami” continues on its hefty trajectory. 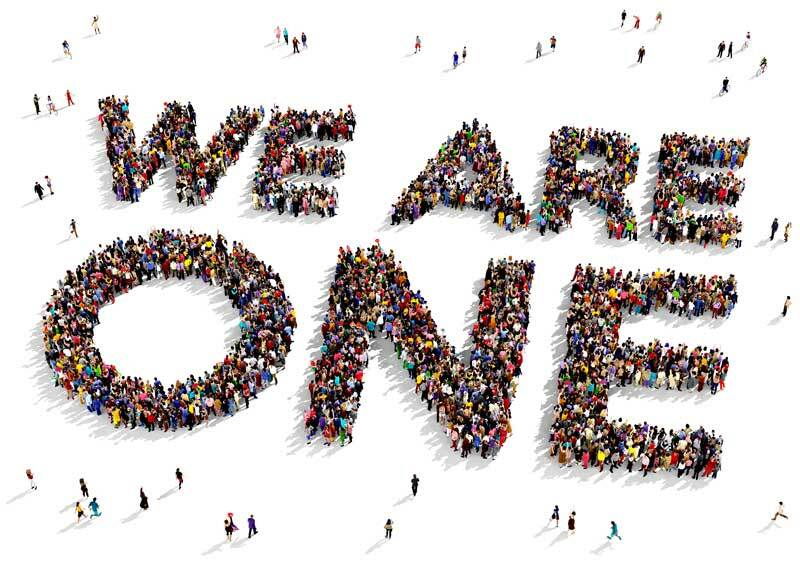 In just over 100 years beginning in 1900, Americans aged 65 and older grew from a population of fewer than 5 million to more than 40 million, according to reported numbers from the U.S. Census Bureau. As a percentage of the population, the age group rose from around 3 percent to more than 12 percent in 2010. By one estimate, only one in every 14 cases of elder abuse is detected or reported. Despite that underreporting, statistically one in every 10 Americans age 65 or older who lives at home will be a victim of abuse. And, according to a 2016 article in SocialWorkHelper, the situation will only get worse in the coming years. Expanding on the statistic that around 1 in 10 seniors falls prey to an exploitative crime, “that ratio becomes 1 in 2 concerning people with dementia.” In addition, the article points out that the 85-plus population is the fastest-growing age group in the United States. 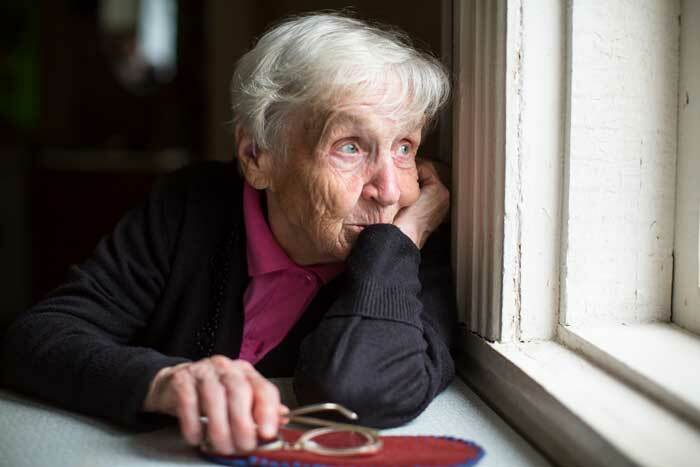 While law-enforcement efforts put toward protecting seniors are long overdue, “the myriad of potential problems is worsened due to many inappropriate state laws,” the lack of federal regulation, and other factors, according to the above article. Not just federal employees but savvy politicians and judges around the country must now not only follow Attorney General Sessions’ lead but pick up the pace. Make no mistake: both the public and senior advocates will be watching to ensure maximum enforcement of current laws. They will also be lobbying for the adoption of additional senior protections. America’s seniors cannot be kept waiting any longer. Some of my happiest early-childhood hours were spent at, or perched upon, the knee of an elderly person. As a preacher’s kid, I spent long hours at church. Many of those hours were spent not in worship but in waiting—waiting for the seemingly endless meetings and events to wind to a close. Those hours yielded happy memories and intellectual fruit because of the elderly church members who took an interest in me and beckoned me over to chat. They always had a story to tell me and interest to show in my life—and sometimes a cookie to offer me, too. Those seniors taught me much, not least of which was the fact that I, little five- or six-year-old me, mattered. Their stories, recollections, and genuine pleasure at my mere presence taught me that my existence was important—that just being me was enough. And the feeling was mutual. I prized every chance I had to listen to, and prattle at, the over-65 set. Their quirks and reminiscences fascinated me. I know now that my own obvious joy at being with them gave these older men and women at least a momentary sense of worthiness in a culture that too often prizes neither children nor the aged as they deserve. But here’s some food for thought. As a well-tended, privileged child, I benefited mightily from the fact that older folks gave me the gift of their time, attention, and stories. It took no money to love on me, and that care made all the difference. Might not that benefit have been multiplied in magnitude set against the backdrop of neglect, or abuse, or bullying, or depression, or orphanhood? As an older person, you have the same power these men and women did. You can change a young person’s outlook and maybe their life. Your currency? Time. Attention. Care. Honesty. Whatever your financial picture, you can befriend young people and fill in some of the gaps present in every child’s life. You can listen to them, inspire them, make them laugh, even ask for their help so that they learn what it means to be helpful. You can ease their fear and discomfort about aging. Whatever the state of your finances, you have at your disposal something far more precious than dollars: You have the time; you can make the difference. Margaret Mead hit the nail on the head when she pointed out that when it comes to changing the world, numbers matter a lot less than commitment. I was fortunate. My early encounters with elders are rosy memories surrounded by a peaceful childhood. Not every child fares so well—not by a long shot. As you may know, the Silver Standard is part of the outreach program of the Elder Abuse Reform Now Project (The EARN Project). The founder and I have talked about the bittersweet irony of the initiative’s origin: The EARN Project was born of a tragedy inflicted on the very young, with a mission to stop a tragedy inflicted on the very old. 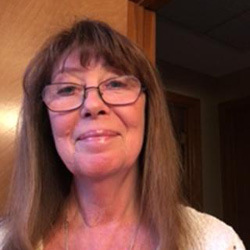 The EARN Project was founded by the daughter of the late Mercedes Kibbee, who became concerned with the well-being and future of many of the children living in a small town in the Northeast corner of Wyoming. Her desire to help these neglected and abused kids led her to establish the Mercedes K. and Chandler H. Kibbee Foundation for Children. The foundation’s mission: to help children who, morning to night, face conditions that would destroy even the hardiest of individuals, to say the least of small children—parents unable to function because of addiction, filthy conditions, physical abuse, missing meals, and household turmoil. These young ones have it badly. These are children at great risk for bullying and becoming bullies, virtually doomed, without intervention, to a life that presents few, if any, decent choices—a life laid waste by addiction, assault, and general privation. These are children apt to produce yet another generation of suffering in their own kids. These are children who, embittered and isolated, are ideal candidates to become the next school shooter. Abstract advice and empty inspiration don’t help these kids. When visiting dignitaries tell children to be good and work hard in school so that “you can be just like me,” these children have no idea what “just like me” is. They have no context for success. Lacking that understanding, how can we expect them to be able eventually to establish supportive, loving homes and families of their own? The Kibbee Foundation was designed expressly to offer freedom, safety, and opportunity to children and youth in these situations—young people who, from birth, have little chance of success in life. Mercedes Kibbee had money, but she also had time—and she dreamed of using it to break the cycle, free these kids from their suffering, and prevent future tragedies born of trauma. It was not to be. Just when the Kibbee’s Kids project was about to launch formally, the hand that Mercedes had stretched out to these children was slapped away. Her estate was seized and drained, the project scrapped, in a shocking act of financial elder abuse. Grieving this injustice and haunted by the thought of lost opportunity for the kids who stood to gain so much, her daughter decided to turn great harm into great good with the EARN Project and the Silver Standard. Educating the public about financial elder abuse is a primary goal. The other, closely linked goal? Empowering elders to help the young. If you read the news, you know that school gun violence has increased shockingly in recent years. Local, state, and federal lawmakers have developed no useful solutions. That means that the solution resides at the grassroots level. In a nutshell: it’s up to the public, and you can make a difference. Grandparents and other elders, especially retired folks, are excellent candidates to help stem the tide of violence. How? By making a difference locally. You cannot make state gun laws or school safety laws, but you can lobby for, and participate in, local school or nonprofit programs that help children who are having trouble at home or school. You can mentor these children by introducing them to a loving and supportive atmosphere—something they may know nothing about. You can pay attention to vulnerable young folks. You have the time; you can make the difference. The world has never been, and is not now, safe for children. True, perfect safety may be overrated (research even shows that a bit of calculated playground risk can benefit children’s brains and bodies by building resilience)—but there is a difference between the inherent chanciness of life and the deep isolation that can all too easily wrap a youngster in its deadly grip. Breaking that grip is in your power as an elder. So. Maybe there is a family down the street whose parents could use a break and whose kids could use a new face and some extra attention. Maybe there is a Big Brothers Big Sisters chapter near you, where you can volunteer as a “Big” to a young person in need of guidance. Maybe you have a niece or nephew who already looks up to you—one you could take a bit more focused time with. Opportunities abound to give the present of your time and insights (and most of all, your undivided attention). Whatever you do, do not underestimate the agency you have. You can make an enormous difference in one or more children’s lives, and that difference can mark the change from sadness, loneliness, and devastatingly poor choices to hope and opportunity. You can be the memory of care and useful inspiration to a child who desperately needs it. You can be the key that unlocks to door to a child’s well-lived life. You have the time; you can make the difference. 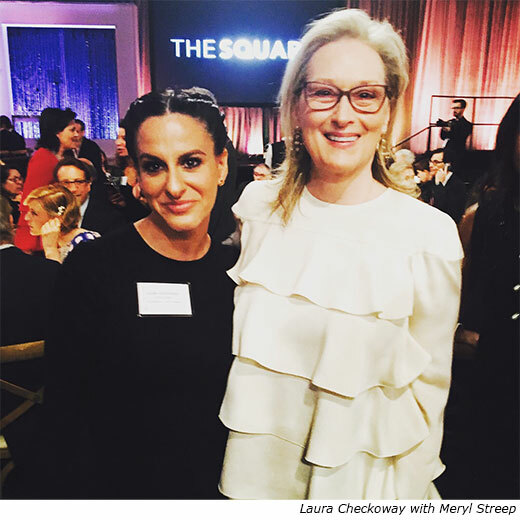 Laura Checkoway was honored recently to meet her fellow Academy Awards nominee Meryl Streep, but it was more gratifying for her to repair the dishonor she feels was done to the subjects of her acclaimed documentary Edith and Eddie. Checkoway is a young Brooklyn documentarian who plunged into a project in 2014 intending to sentimentally celebrate the lives of the country’s oldest interracial couple. She ended up with a hard-edged account of cruel injustice that moved the awareness needle on the emerging issue of elder abuse—especially guardianship abuse—in America. The documentary ultimately earned Checkoway a shot at an Oscar. Her film might as well have been titled I Hope You Sleep Tonight. Those were the bitter words of 95-year-old Eddie Harrison to a court-appointed guardian, Jessica Niesen, in a crucial scene in Checkoway’s 29-minute film. Niesen had come to the Virginia home of Eddie, who is white, and his black 96- year-old wife, Edith Hill, armed with the legal authority to remove her from the house she’d lived in for 50 years. “We don’t want to miss the flight,”replies Niesen. She is referring to the trip to Florida she’s set up for Hill; she’ll be staying with relatives there, at the behest of one of her daughters, who was unhappy with the relationship between Edith and Eddie and initiated the guardianship procedure. 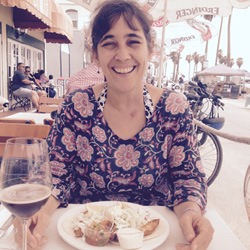 The daughter’s decision had followed a complicated family dispute over how to take care of Edith, who had been diagnosed with moderate dementia in 2011. “It’s a little vacation time,” Niesen says to Edith persuasively, all the while hearing Eddie’s pleas not to take his wife away from him, not to deprive him of his late-in-life love. Niesen says Edith will be gone for just two weeks. That claim, it turns out, is false. Edith makes the flight—after she is hustled out of her home in a driving rain without even the protective dignity of an umbrella—but she never returns to Eddie. He dies shortly after her departure. The bitterly sad turn is movingly chronicled in the film. “Eddie, can you hear me? Can you come back to us?” says mourner’s voice. 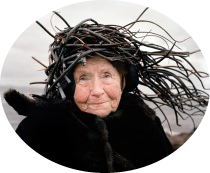 Edith died at 98 in March 2017. 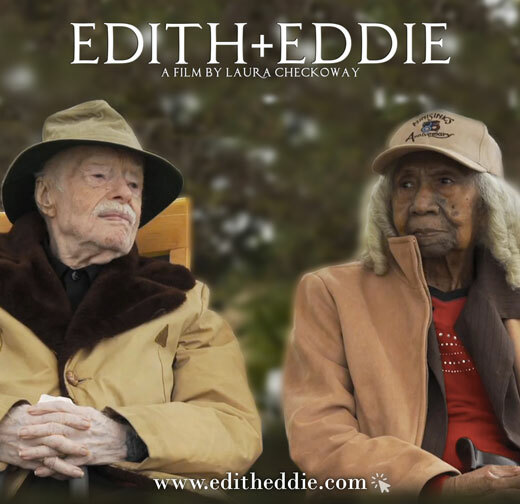 With a simple and straightforward approach, she brings the overwhelming force of abstract institutions onto the screen.“ Indeed, Edith and Eddie tells the story of misused power, racism, and ageism with the silent horror of an unsuspecting witness to coldblooded violence. Checkoway was an entertainment journalist before doing a collaborative autobiography on the rapper Mobb Deep and making her first film, Lucky, a survival story about a homeless, unemployed woman on the streets of New York. 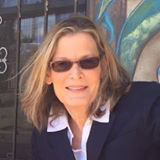 Checkoway worked on that film for five years—a measure of her devotion to the responsibilities inherent to the documentary genre. Her cinematic interest in Edith and Eddie was piqued by a compelling online photo of the nonagenarian couple. She said in a telephone interview with the Silver Standard that she was intrigued by the story of a couple “who found love at that time in their lives” (Checkoway herself is in her mid-twenties, remember). Their relationship, she said, “was something really special,” and she found herself wanting to tell their very human story. As the forced move of Edith played out and Checkoway remained in Florida, the project, she said, was at a “standstill” for a while. It took another year to bring the story together dramatically, with the guardianship issue a major component, and a compellingly complex one. Her approach clearly worked. The film was received well at several festivals—getting a major award at the Montclair Film Festival in New Jersey—before it was finally nominated for an Oscar. The New Yorker review named it as one of the top two contenders, along with the film that won, Heaven Is a Traffic Jam On the 405. But short of winning, for Checkoway the best thing about the Oscars was honoring Edith and Eddie to some extent, and “just being there—all of us being there.” One of Edith’s daughters and a granddaughter came to the Academy Award ceremony, and so did the nominee’s parents. What’s next for Checkoway? She said she has several potential projects in the works, including one on the larger issue of elder abuse in the nation—going beyond the poignant and disturbing story of Eddie Harrison and Edith Hill. 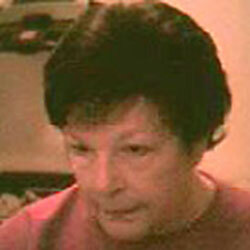 Today is April 15, my mother died on April 15. She died exactly as she wanted to die - in her own bed, in the loving surroundings of her own home. She had lived her final months in exactly the way she wanted to live them and, happily, she did not know that a bank, a few lawyers, and a YMCA had swatted away the loving hand she believed she had left behind - outstretched to the poorest children in town, causing her (and by extension the generations of her “Kibbee Kids”), to be yet one more of the many senior citizens in this country to be financially abused. 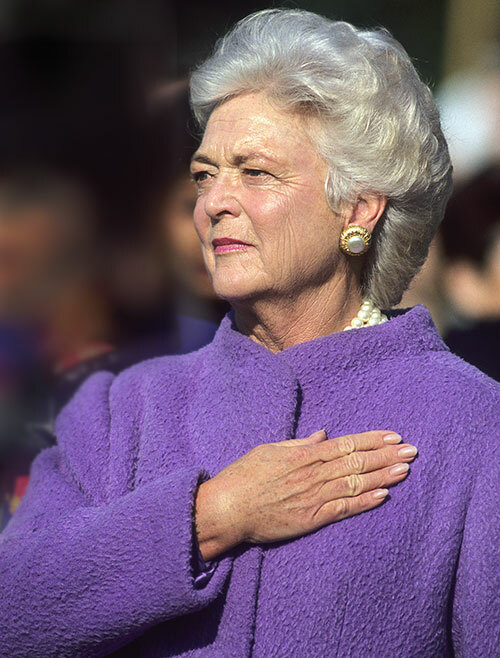 This morning, we were told Barbara Bush, too, had chosen to spend her final days at home, surrounded by people who loved and cared for her. I know from experience that this can be a lovely time - any old wounds still hanging around get healed, loving things - things we often do not say enough of in our everyday life - get said, memories and photographs occupy much of the time, and laughter, lots of laughter. Not all families can afford to keep an elder family member, in need of 24/7 care, at home. However, they can put them in a nursing home that is close-by and spend as much time as possible with them. Unfortunately, many don’t and, tragically, many are not allowed to. I wish I could say the story of Edith and Eddie is not only heartbreaking but unusual. Other than the sweet geriatric love story, it is a very common tale of the inhumanity and cruelty rampant, right now, in every State from Maine to California. Old people suffering under the dictatorship of people who have not the slightest interest in their wellbeing—where they want to be - where they feel happy—where they feel loved - not interested in making arrangement for local family services to check in from time to time to make sure they can live where they want to live - and still be safe when their loved ones cannot be at home. There is nothing in that for these dictators and believe me, with them, it is all about “what’s in it for me”. Edith’s court appointed guardian heard her say she wanted to stay in the home she had lived in for almost her entire adult life, cared for by a loving husband, loving daughter and loving granddaughter. She said where they wanted to send her, with her other daughter, was not where she wanted to be and that the daughter’s husband was mean to her and treated her like a servant. What was the Guardian’s “protective” response - it was to lie - tell Edith it was only for a two-week vacation and then drag her out of the house in the pouring rain without so much as an umbrella to protect the 95 year old woman. Edith was sweet, and gentle, and loving and she was surrounded by people who returned the favor. And then, a court, demonstrating no interest in Edith, her happiness or well-being, appointed a guardian….. It is court sanctioned torture and it happens every day in every State. 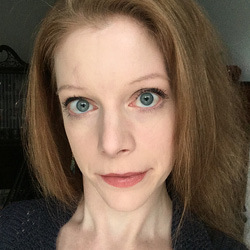 Ms. Checkoway says she wants to “repair the dishonor” but she can’t - the deed is done - Eddie is dead and, Edith ended her days alone and unhappily - as a prisoner. What Ms. Checkoway did do was make a wonderful film that opened a window and made us look the awful view. There is no reparation but there can be prevention and that is up to us. By “us” I don’t mean the EARN Project - it is just a cheerleader - I mean you and me. And, if we don’t, then it is because we don’t care and when it happens to your loved ones and my loved ones, and then you and me, and your children and my children, and their children, no one will care either. 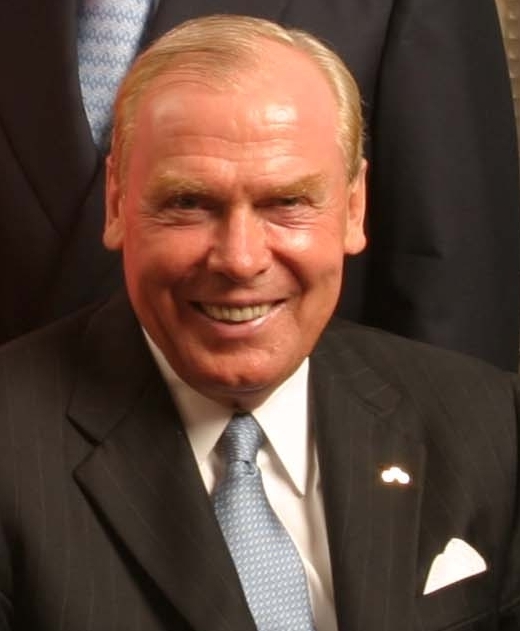 With the passing this past February of billionaire businessman and philanthropist extraordinaire Jon Huntsman, Sr., industry and civic leaders across all sectors of society celebrated the American Dream as manifested throughout the petrochemical mogul’s life. Gifted with a sharp mind, plenty of business savvy, and a knack for innovation, Huntsman lifted his version of the American Dream beyond personal ambitions and elevated it to the practice of civic and social service. To this end, according to reports, Huntsman and his wife, Karen, had given away $1.55 billion by October 2016—60 percent of the couple’s net worth. By the time of Huntsman’s death less than a year and a half later, the donated amount had risen to $1.8 billion out of an estimated $3 billion fortune. Based on any merit centered on business or financial attainment, Huntsman consistently ranked among the top players in the world for six decades. He was a gifted innovator in multiple fields: in the early 1970s, when McDonald’s and other fast-food franchises spread prolifically, Huntsman identified an unmet need in the form of Big Mac packaging and the development of clamshell burger boxes. Around the same time the Golden Arches was growing at a gangbusters pace, Huntsman also found himself contending with an oil embargo from suppliers. At a challenging time for the petroleum industry, Huntsman navigated his company to take advantage of asset-buying opportunities. Ultimately, 34 separate companies came to operate under the Huntsman Corporation umbrella. Among the largest of these deals was Huntsman’s 1994 purchase of Texaco’s petrochemical division for $1.06 billion. Huntsmen’s acumen centered on his ability to maintain a straightforward but ever-expanding focus. A graduate of the Wharton School of the University of Pennsylvania, Huntsman moved into the petrochemical business in recognition of the vast utility and opportunity within the industry and its verticals. But for Huntsman, petrochemical manufacturing represented a means to an end greater than simply the acquisition of money. Holding a lifelong commitment to service through tithing and public service, Huntsman believed the greater purpose in amassing a great fortune lay in giving away that great fortune. His conviction was so profound that he maintained his company privately simply to avoid shareholder conflict when profits were earmarked for charity. A public offering for the company didn’t come about until 2005. Among the causes and charities Huntsman championed, the defeat of cancer was among his most well known. A four-time survivor of the disease himself, Huntsman founded the Huntsman Cancer Institute in 1995 with a $450 million donation. In addition to funding cancer research, Huntsman poured resources into education with financial-need scholarships. 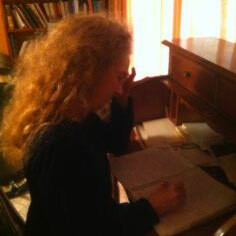 Women facing difficult and dangerous life situations also found shelter in charities backed by Huntsman. While the gifts most often associated with Huntsman are those involving big numbers, Huntsman’s habit of giving was long established. As a boy in rural Idaho, he recalled, he consistently found purpose and joy in the small tokens he donated to his church every week. “It has been clear to me since my earliest childhood memories that my reason for being was to help others,” Huntsman said. The charitable mindset that came to be so closely associated with Huntsman fit well within the framework of The Giving Pledge, “a commitment by the world’s wealthiest individuals and families to dedicate the majority of their wealth to giving back,” according to the organization’s website. Signatories to The Giving Pledge, of which there are 172 located in 22 countries, promise to give away at least half of their total personal wealth. Could a Technical High School be the More Rewarding Choice for Your Grandchildren? While a college education is right for some students, it’s by no means best for everyone. You undoubtedly have heard stories of debt-encumbered college graduates who are unable to find jobs in their field of study. Having a college degree does not guarantee your grandchild a secure financial future, so it’s worth suggesting that he or she consider an alternative route for job preparation. Attending a high school offering extensive vocational course options, otherwise known as career and technical education (CTE), is an option with much merit. In the 1980s, when educators began mandating that high school students take more courses in core academic areas like math and science to prepare them for college, the number of vocational courses offered dropped. However, within the past decade, interest in CTE has resurged. In fact, because of the advantages CTE presents, it is now very much in vogue. What Are CTE High Schools? CTE high schools offer courses in fundamental academics while also providing training and practical work experience, such as apprenticeships, in a broad array of work fields. The intent is to equip students for certifications in their vocation of choice and make them employment-ready upon high school graduation. These vocational curricula also help students develop skills that would be an asset in any job, such as problem solving, time management, teamwork, critical thinking, and communication. The range of career fields of study varies among schools, but some provide an impressive spectrum of options from which to choose. Possibilities include plumbing, electricity, masonry, cosmetology, dental assisting, health assisting, automotive technology, culinary arts, information technology services, veterinary science, horticulture, advanced manufacturing, graphic communications, and more. In choosing a field, students have only to ask themselves two questions: “What do I love?” and “What do I do well?” To illustrate, a student who likes to tinker with cars can anticipate a career as a mechanic; someone with a flair for cooking can look forward to working as a chef in a variety of settings. Based on their interests and aptitudes, students can embark on an educational program that offers a high probability of employment upon its completion. What Is the Current Market for Skilled Laborers? In an interview with NPR, Anthony Carnevale, director of the Georgetown University Center on Education and the Workforce, paints a picture of the current market for skilled laborers. He notes that many jobs requiring technical certificates, which take a year to complete, pay more than jobs requiring a college degree. One example: positions in the heating, ventilation, and air conditioning (HVAC) industry. “The economy now distinguishes [job applicants] not so much based on their level of education but on their field of study,” he explains. Carnevale compares the potential to land a good job with a technical certificate to the current college failure rate. “Every year, more than 400,000 young people in the top half of their high school class go to college, and eight years later they have not earned either a two- or four-year degree or certificate. So at some point, failure matters,” he said. Skilled laborers are much in demand. According to the U.S. Manufacturing Institute, the industry projects that three million open positions will exist in the next decade. Up to two million of those jobs won’t be filled due to a shortage of technical education, resulting in a skills gap. The Alliance Review says construction is another industry with a marked shortage of workers: approximately 70% of companies nationwide report difficulty in filling open positions. Moreover, experts forecast a great need for workers in several other fields—namely, healthcare, wind energy, and infrastructure, including utilities, transportation, housing, and telecommunications. What Are the Benefits of CTE High Schools? The main advantages of CTE high schools are that graduates enjoy higher employment rates and larger incomes than their peers. One study found that these benefits were driven by upper-level coursework in more technical fields; each additional year of vocational coursework was linked to a nearly 2% hike in income. This finding indicates that the monetary rewards of CTE stem from completing in-depth courses in a specific area. CTE schools also integrate academic skills into an everyday context. Advocates of the schools claim that this aspect can increase student engagement in learning and motivate them to attend more frequently, reports Brookings. Here’s another benefit of CTE education: students who attend CTE schools are more likely to graduate. The Association for Career & Technical Education reports that the high school graduation rate for students focusing on CTE is 93%, a statistic that significantly exceeds the graduation rate of 80% for freshmen nationwide. In addition, taking one CTE course for every two academic courses reduces the likelihood of dropping out of high school. Students who are still debating whether to pursue a college degree or a certification from a CTE high school may wonder if the latter route will preclude them from the former. Be assured that it will not. A study published by the Thomas B. Fordham Institute concluded that CTE students are more likely, not less likely, to enroll in a two-year college following high school graduation. The research also showed that CTE students were just as likely to pursue a four-year degree program as their counterparts in traditional high schools. Therefore, CTE shouldn’t be viewed as a path that leads away from higher education. Some CTE high school graduates go on to college and use their certifications to get a job to support them while they work on their degree. For instance, a high school graduate with a nurse assistant certification could work in this field while she trains to become a registered nurse. Instead of limiting students’ options, CTE actually broadens them. Do CTE High Schools Have a Downside? An international study found that while CTE schools produce benefits for students early in their careers, the CTE approach poses a disadvantage later in life because CTE graduates may lack the general skills needed to adapt as technology changes. The research raised concerns that expanded CTE shouldn’t be used as a substitution for broad knowledge applicable across jobs. Furthermore, it contended that developing fundamental, rather than trade-specific, skills will serve students better over the long term. The study authors said that since the employment advantages of CTE decline with age, the early job and income benefits CTE offers need to be weighed against this drawback. They also suggested that one way to offset the later-life disadvantage is for individuals to seek, or for employers to provide, additional education and training throughout the course of a career. However, proponents of CTE argue, with some justification, that such schools do teach the core academic skills necessary for lifelong learning, and that they frequently do so more effectively than traditional high schools. The merits of CTE will undoubtedly be debated for years to come. Nonetheless, for students unlikely to succeed in a traditional high school setting, the positives seem to trounce the possible negatives. Such students have nothing to lose and much to gain. As James Stone, director of the National Research Center for Career and Technical Education, told U.S. News & World Report, such programs give students a new way to succeed. 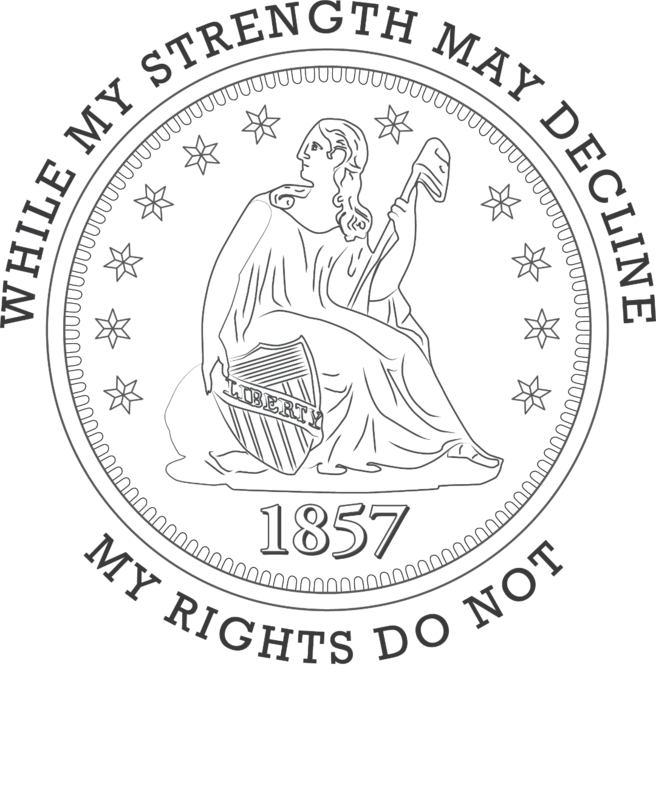 People with large debt are disinclined to commit to those things normally considered the American way of life - a family, a home, etc. A 2003 literacy test of 18,000 college graduates in the Humanities, conducted by the US Department of Education, determined that 1/3 of them were not proficient. Students, who received honor grades in college level physics courses, are frequently unable to solve basic problems and questions encountered in a form slightly different from that of which they have been formally instructed and tested. Polls show that college students, on average, spend less than 3 hours a day in engaged in educational activities. Helping your high school age grandchild make a clear-eyed evaluation of their strong and weak points, before they blindly pack up for college, can be a very valuable gift from you. What do I expect of my future? What is it going to cost each month and, for how long, for me to pay back those loans? Can I afford that burden? Do I want to? Do I feel sure I will continue through all the way to graduation? Is there something I would enjoy, and can make a good living doing, that does not require a college degree and will provide me with a happy, satisfying life? Note: Though costs vary state to state, they usually correspond with each area’s cost of living. In Northwest Connecticut, having a plumber replace a bathtub, sink, and toilet costs around $6,000. Even accounting for materials and other overhead, that’s not a bad wage for a couple of days’ work! 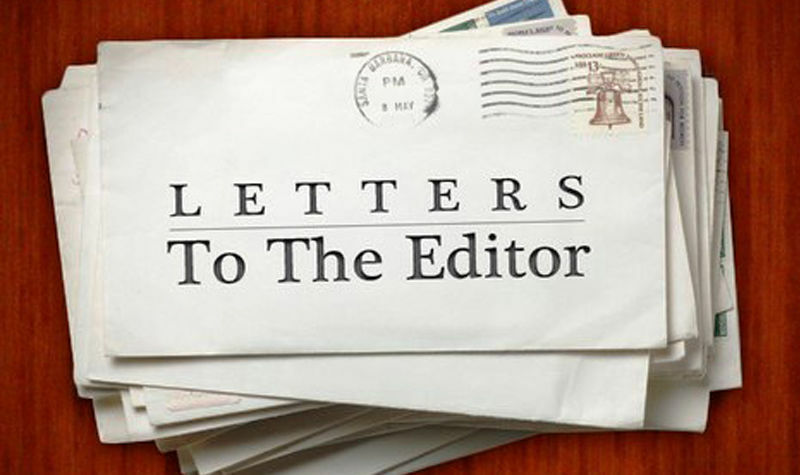 Editors Note: When students are beginning to consider life after high school, they are of an age group that is frequently resistant to parental opinions. Grand parents can often provide a more acceptable sounding board. As Gen X adults age and find themselves bracketed by two other need-heavy demographic groups—strong-willed teenagers on the one hand and aging parents on the other—urgency grows to find evidence-based, cost-effective methods for alleviating some of the most troubling symptoms of dementia. Dementia is common to aging and conditions like Alzheimer's disease, vascular dementia, dementia with Lewy bodies (DLB), Parkinson's disease, frontotemporal dementia, and Huntington's chorea, a progressive movement and cognitive disease. All are ultimately debilitating and almost always eventually require institutionalization or hospitalization. For family caregivers, the one symptom that often can’t be managed is agitation (and its twin, aggression). This agitation can cause even weakened, aging individuals to display surprising strength. 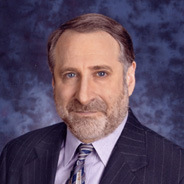 The root cause of the agitation is the patient’s recognition of gradually declining memory and his or her loss of a former attachment to the world; the fear this awareness causes can manifest as destruction or even unintentional savagery, because the victims of Alzheimer’s often feel used or abandoned. Alzheimer's disease ranks sixth as a primary cause of death in the United States and is the fifth most prominent cause of death among persons over 65. At the age of 70, about two thirds of Alzheimer’s patients can be expected to die within ten years. In 2013, approximately 5 million Americans aged 65 years or older had Alzheimer's disease. This number could reach 13.8 million people by 2050. The age group at highest risk for Alzheimer’s, the Baby Boomers, are in fact now coming of age. One in nine has Alzheimer’s. Even more frightening, at a time when people are living far longer, is the statistic that 33 percent of people over 85 have Alzheimer’s. In fact, the Alzheimer’s Association suggests that the risk may nearly double at that age. Sadly, the disease is not a normal part of aging: medical professionals suggest that the American diet and lifestyle may particularly promote the disease’s development. The ideal scenario is caring for a parent with Alzheimer’s at home. Unfortunately, that is not always possible. We have already explored the idea that pharmaceuticals, which can inhibit the dangerous aspects of dementia, are nonetheless a form of abuse, depriving patients of their essential humanity. While some drugs, like Namenda (memantine), can be used successfully to treat moderate to severe mental turmoil resulting from Alzheimer's disease, they aren’t cures. In fact, Namenda’s operation is simple: it blocks the effects of glutamate in the brain. Glutamate, a powerful neurotransmitter, is essential in learning, memory, awareness, and the ability to function in the day-to-day world. In excess, however, or in people with a specific brain-chemistry flaw, this beneficial chemical can become an excitotoxin or nerve poison. This is true for both Alzheimer’s and Huntington’s disease. Antidepressants may be less valuable in treating patients with dementia symptoms. In a very recent study, researchers concluded that—perhaps as a result of too few randomized, controlled trials, or too small an Alzheimer’s population studied—the actual value and potential for antidepressants in mitigating aspects of the disease were largely undetermined, and more studies were required. The benefits of antipsychotics against excitability, agitation, and aggression are even less notable, especially in the longer term. In fact, these drugs (risperidone, olanzapine, and aripiprazole) are associated with dangerous side effects that can include increased cognitive decline, stroke, and death. The risk increases with duration of use. Olanzapine (Zyprexa), for example, can cause a potentially irreversible movement disorder called tardive dyskinesia. Aripiprazole (Abilify) is contraindicated among people who have, or have a tendency toward, high cholesterol, high triglycerides, and diabetes, all of which are more common as people age. This particular method of dementia management attempts to outline an effective, simple, and practical regimen to enhance patients’ mental health while simultaneously reducing the need for sedation, which deprives individuals of their personality and quality of life. Institutionalization, which occurs at a rate of one in four among Alzheimer’s patients in the first three years after diagnosis, is a heartbreak for family members, especially when a parent dies and the cause of death is discovered to be neglect or abuse at the hands of strangers. A 2016 study on WHELP showed that person-centered care offers significant benefits to dementia sufferers and their caregivers. The study evaluated the impact of antipsychotic review, social interaction, and exercise, in conjunction with person-centered care, on antipsychotic use, agitation, and depression in people with dementia living in nursing homes. The study randomly assigned eight nursing homes to programs implementing one or more of three tactics for managing dementia symptoms: antipsychotic medication review, social-interaction activities, and exercise regimens. After nine months, the nursing homes in the study assessed patients to see where they stood in terms of antipsychotic medication use, agitation, and depression. The study also assessed patients for their overall neuropsychiatric symptoms and mortality (rate of death). The findings were moderately impressive. Reviewing the use of antipsychotic meds alone—with no other measures implemented—reduced medication use by a whopping 50 percent. Combining antipsychotic review with social-interaction intervention significantly reduced mortality compared with the group receiving neither. Here’s a kicker: The group receiving antipsychotic review but not the social intervention showed a significantly worse outcome in neuropsychiatric symptoms compared with the group receiving neither. So antipsychotic med review reduced medication use but didn’t help patients with their psychiatric symptoms—social interaction was key to improving patients’ psychiatric condition. Meanwhile, the exercise intervention significantly improved neuropsychiatric symptoms but not depression. None of the interventions had a significant impact specifically on agitation. Bottom line: Reductions in antipsychotic use can be achieved by using a "real world" intervention, but social interaction and exercise are necessary to offering any improvement in the quality of life experienced by dementia sufferers. Social interactions such as conversation, listening to music, looking at pictures of grandchildren, and the like clearly matter in dementia symptom management, and it is worthwhile to train caregivers in these activities. Dementia does create real quality-of-life problems—depression, and confusion among them—but social interaction and physical movement can ease these symptoms to at least some degree. In 2010, the CDC (Centers for Disease Control) estimated the cost for treating Alzheimer’s disease at somewhere between $159 and $215 billion annually. By 2040, these costs are expected to swell to at least $379 billion and perhaps as much as $500 billion annually. Cost-cutting via WHELD, while small in scope, is framed in a prototype easily implemented in most nursing homes and similar facilities. 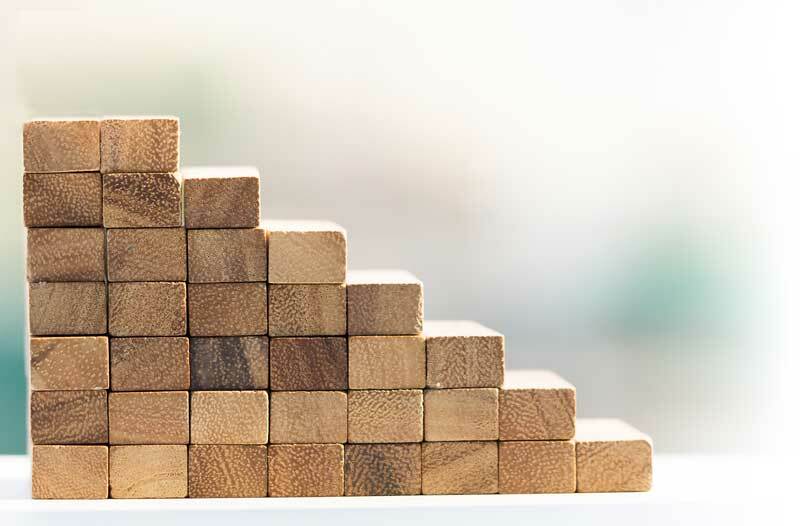 Given traditional routines and accepted practices in institutions caring for the ill and elderly, however, initiating and sustaining the WHELD model may be difficult. The nursing-home caregivers at the forefront of delivering treatment are often undertrained and overworked. There is hope. In many places, notably Minnesota (where a recent Star Tribune article on abuse in area nursing homes highlighted a nationwide problem), dedicated Alzheimer’s care facilities offer solutions that focus on person-centered care training and person-centered activities—both quintessential elements of WHELD. At the two locations of The Wealshire, north and south of the Twin Cities, a PLST (Progressively Lowered Stress Threshold) form of WHELD aims to elucidate the nature of “stress” for Alzheimer’s dementia patients and alleviate it through staffing structure, programming, and environment. Until a cure or surefire preventive measures for Alzheimer’s and other forms of dementia are found, managing patients’ symptoms and caregivers’ stressors while honoring patients’ need for quality of life is crucial. Dementia strikes fear into the hearts of both sufferers and those who tend to them precisely because our memories constitute so much of our sense of humanity. 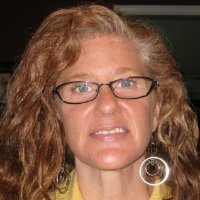 WHELD, by balancing person-centered care with education about effective (and less sedating) pharmaceutical intervention, aims to address those fears by educating caregivers about activities that soothe and engage sufferers, appropriate physical care, and the cost–benefit analysis involved in pharmaceutical treatment. There is no easy road through end-of-life dementia. There remains, however, the possibility for good moments, compassionate care, and person-to-person relationship, whether in the home or in a nursing facility. “Well, yeah,” I answered, feeling immediately alienated from this person. Having lived a few decades on this planet, I am accustomed to feeling like a dinosaur at times—but am I the only person who thinks a telephone should be expected to initiate phone calls? 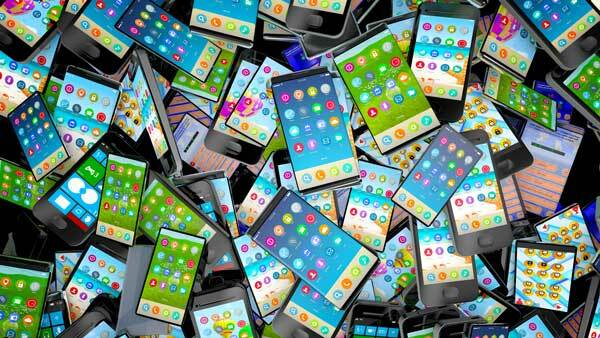 I further learned that nobody actually fixes cell phones that fail to work, because it is just easier to replace them with an upgrade. The expense is factored into your bill over several months, meanwhile, you walk out the door with a newer model, an expanded plan, and the ability to hurdle tall buildings with a single bound. Flash back fifty-odd years ago, when this dinosaur was a young teenager living on a thousand-acre corn farm in Nebraska, nine miles from any incorporated town. And we had no phone. My Aunt Lena, who lived in town, had one of those beauties that you physically rang up while holding the receiver to your ear and shouting into the mouthpiece on the wall—a slight upgrade from two tin cans and a string. At first, we were on a party line with two sets of neighbors who seemed to be on the phone from early morning until dinnertime. My father would break into their conversations and tell them to hang up when he needed to make a call, which resulted in heated exchanges and Dad reminding them that they wouldn’t have a phone at all if it weren’t for him. If one of my friends managed to break through this firewall, I was allowed only ten minutes to talk, and chances were good that the neighbors or one of my sisters would be listening in. Eventually we got a private line. From then on, we were like everybody else—receiving occasional calls, but mostly using the phone for making appointments and checking in with friends and family members who lived in other towns. The farther away the person on the other end of the phone lived, the more loudly my dad spoke into the receiver—as if it was harder for the sound to reach Indiana, for example, than some town ten miles away. Now I live in a world in which I am always connected to my telephone. It updates me on the weather, tells me how to get from one place to another, relays text messages and e-mails to me, and answers any questions I might have in a matter of minutes. I can play games and watch movies on it, take pictures and videos and access the Internet with it. The only thing I cannot be sure of is how long it will allow me to actually make and receive phone calls. But that’s okay, I guess, because most people text or e-mail me anyway. So, I don’t know. Maybe next time my cell phone stops initiating calls, I’ll just learn to live with it. Since 2008, the percentage of political independents—those who identify as such before their leanings to the two major parties are considered—has steadily climbed from 35 percent to the current 43 percent, exceeding 40 percent in each of the last four years. Prior to 2011, the statistical zenith in independent identification was 39 percent in 1995 and 1999. The recent rise in independence from party affiliation has come at the expense of both parties, but it has occurred more frequently among Democrats than among Republicans. Over the last six years, Democratic identification has fallen from 36 percent—the highest in the last 25 years—to 30 percent. Meanwhile, Republican identification is down from 28 percent in 2008 to 26 percent in 2017. This movement away from party affiliation may be unsettling, but it is also encouraging. It means that fewer and fewer Americans are blindly voting a straight party line. Instead, Americans are increasingly assessing the philosophy, on various issues, of each politician running for office. 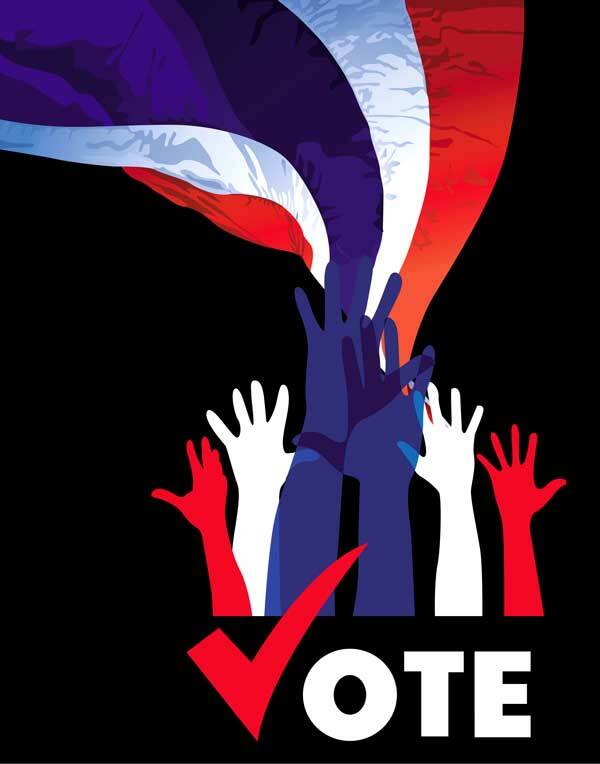 The more effort each of us puts into understanding the issues, formulating our position based on that understanding (rather than by the bonds of party loyalty), and voting accordingly, the better as citizens we will be and the healthier the country will be. The success of our system of government is determined by our insistence that those who seek leadership must persuade not expect blind loyalty, and those who grant political leadership, participate in the process not just vote. 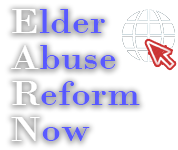 The EARN Project has no political intentions other than to educate the public about—and thereby stop—financial elder abuse and involuntary guardianship. However, we will, from time to time, try to do some of your research for you and explain both sides of an issue that is much in dispute. The latest results for party affiliation are based on aggregated data from 15 separate Gallup telephone polls conducted during each f the10 years listed below. That’s what senior citizens Ella and John Spencer, the married couple of nearly fifty years behind the wheel of the soulmate dramedy The Leisure Seeker, spend their time, leisure or otherwise, dealing with. 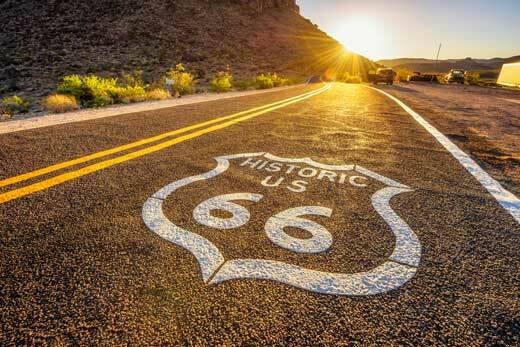 Which is why they embark on one last road trip in their weathered Winnebago (also aging and ailing). They start out from their home in Wellesley, Massachusetts, and head south in the jalopy RV, the nickname for which lends the film its title. Helen Mirren and Donald Sutherland—reuniting after co-starring in 1990 in the biographical drama Bethune: The Making of a Hero—are both comfortingly familiar and critically respected. They mesh well as the Spencer spouses, and, while we may have reservations about their driving, we’re reasonably confident of their ability, both individually and as a pair, to make us appreciate the pleasure of their company. As in any respectable road-trip movie, secrets and complaints and resentments and anxieties are going to surface, if for no other reason than because of the main characters’ forced proximity and claustrophobic circumstance. But no matter what happens along the way—including contact with an ex (enough said)—and no matter the level of exasperation either of them experiences (of course they do), the love between them remains obvious and palpable. Perhaps that’s why she’s so fond of setting up a nostalgic slideshow, creating a parade of their shared past, whenever they stop for the night. Of course, in the eyes of the Spencers’ concerned, disapproving grown children, played by Christian McKay and Janel Moloney, Mom and Dad are reckless, irresponsible runaways with impaired decision-making abilities. Welcome to senior cinema, offering a mature dramedy aimed squarely and refreshingly at an underserved target audience if ever there were one. Sutherland’s understated John is a retired English teacher battling dementia, more than happy to be headed toward Key West, Florida, in hopes of visiting the home of one of his literary heroes, Ernest Hemingway. As for chatty, gregarious Ella, she’s intent on getting him there safe and sound. Veteran Italian director Paolo Virzi (The First Beautiful Thing, Every Blessed Day, Human Capital, Like Crazy), in his first English-language film, works from an appropriately (but mildly frustratingly) meandering screenplay that he co-wrote with Francesco Pioccolo, Francesca Archibigi, and Stephen Amidon, based on a novel by Michael Zadoorian. And, yes, the presence of four—count them: four—screenwriters begs an immediate consideration of whether too many cooks might have had a hand at the broth. Immediate authority is expected and delivered at the outset by the prolific Sutherland (whose acting resume boasts an astounding 200 completed movies) and the lauded Mirren (nominated for four Oscars: for 1994’s The Madness of King George and 2001’s Gosford Park as Best Supporting Actress, and for 2006’s The Queen and 2009’s The Last Station as Best Actress; she won for The Queen). But the actors’ efforts are somewhat undermined by a script that takes a few awkward stabs at humor and offers flatfooted tone shifts among comedy, dramedy, and drama. There is a referenced political undercurrent that is not exactly energetically pursued but that nonetheless lends the film a certain gravitas. With the film set in the summer of 2016, Donald Trump at a rally and Hillary Clinton at the Democratic National Convention become part of the background. More damaging are the contrivances that compromise the third act, too many details of which would comprise a spoiler. Let’s just say that a shotgun is involved and leave it at that. The screenplay does a more effective job of gradually disclosing just what ailments the protagonists are faced with; John’s condition is established early on, while Ella’s coyly comes into focus later, in a way that has us contemplating our own—that is, everyone’s—late-in-life health preoccupations. But we wish the screenplay did more with character delineation than it does, because although Mirren and Sutherland have been better in other projects, they are at least equal to the task here in terms of sensitivity and presence. Perhaps the two stars should have been allowed more input. Still, the script gets credit for acknowledging, if not addressing, the challenge of adult caregiving, and it effectively uses the literal road trip as a metaphor for the characters’ more important internal journey. There’s no escaping the conclusion that the movie industry’s relative indifference to senior cinema creates our beggars-can’t-be-choosy acceptance of middling films like The Leisure Seeker as placeholders until the next great film about elders comes along. So we’ll take it. We seek enlightenment or inspiration, but what we’ll accept in their absence is leisure. Window boxes, eye-catching miniature gardens, were ubiquitous in cities like London and Paris as far back as the 1600s. In London, this form of gardening was made even more common by the Building Act of 1709, which required all windows, doors, and the like to be set back four inches from building exteriors. The act had nothing to do with architectural aesthetics. Instead, it was aimed at preventing another tragedy like the Great Fire of London, which fed off the exposed wood of doors, windows, and sash-weight housings in otherwise non-flammable stone, brick, and stucco buildings. Using window boxes thrown together from scrap lumber, old wash basins, or even discarded high-button shoes, even the poorest Londoner could take advantage of the balmy English climate, planting free wildflowers in a few handfuls of soil and brightening up his or her humble cottage. Wealthier inhabitants preferred kiln-fired clay pottery or wrought iron, lined with coconut fiber purchased in four-bushel bags from suppliers like Finlayson & Hector. 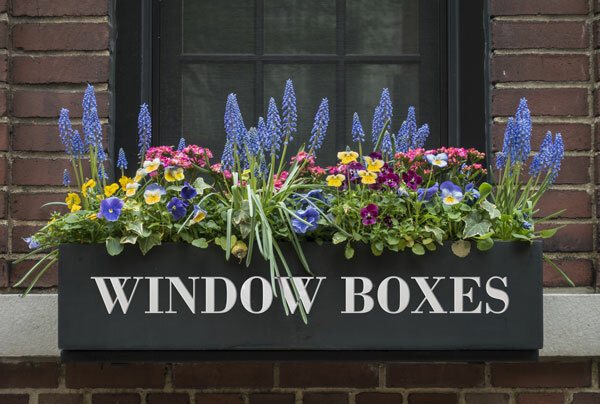 The tradition of window boxes, or window planters, crossed the Atlantic Ocean and quickly took root in such populous, sophisticated eastern cities as Charleston, Boston, and Baltimore. From there, they were carried to the Midwest, where pioneer women planted woven prairie-grass baskets with coneflowers, wild asters, and clumps of little blue stem and anchored them in the window wells of their “soddies” with old pitchfork tines or worn wagon-seat springs. Only as European tastes and resources advanced toward the Left Coast, following the railroad lines and the pioneers’ wagons west, did coneflowers give way to geraniums, and prairie grasses to ivy. 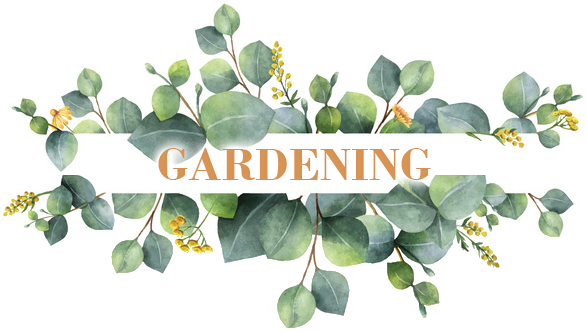 If you are one of the more than 158 million Americans in the workforce, you probably don’t have time to garden extensively, or the energy to maintain various vegetable plots, flower beds, and shrubs. Those things can also get pricy. 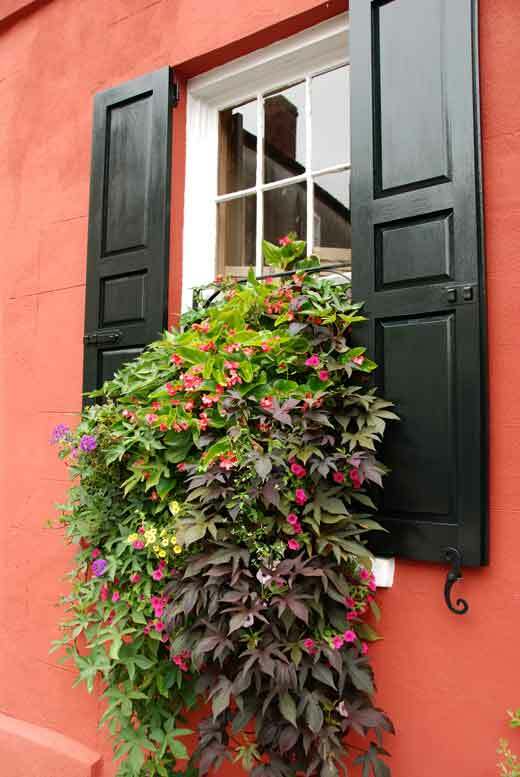 Window boxes fill the need to grow something without strapping you for time or money. Equally important, you can change the appearance of your window garden with very little effort or expenditure. You can, for example, have any big-box home store cut lumber to your exact specifications (though you will still have to pay for the entire board). Keep the extras, because everybody makes mistakes, and try to plan your project around existing sizes of HVAC (heating, ventilation, and air-conditioning ductwork, so you will have a ready-made liner available from said ductwork (you can also buy liners at big-box stores). Take the pieces home, nail them together, prime, and paint. Or, if you don’t want the hassle of repainting your window boxes every few years, cover them with anything from cork, bamboo, and vinyl flooring to tin or copper ceiling panels. When the window box is finished, insert the previously mentioned HVAC or other liner. You might even consider buying pre-fab units that turn window boxes into self-watering planters—no more water scale on windows, and no more over- or underwatering. Divide the extra cost over the number of years of frustration you will otherwise experience, and these handy devices virtually pay for themselves. If you hate painting, try blended primer-paint, but choose a name brand. It will cost more but last longer. Do not use adhesive-backed paper, fabric, or wallpaper on the outside of your window box. These things may hold up well inside, but they will self-destruct almost instantly outside. Do not treat your window boxes with any type of wood preservative or pest repellant, as these contain chemicals which can kill plants. Instead of drilling the recommended drainage holes in the bottom of your window box, run half-inch PVC pipe through the wood down to ground level; otherwise, you will end up with unsightly water stains on your siding or masonry. What can you plant in a window box? Anything! If you live in a mild climate, you can choose low-growing shrubs like boxwood or miniature varieties of spruce or pine. Even in harsher climates with long, cold winters, “Blue Star” juniper (Juniperus squamate) will survive as far north as Zone 4, or 45 degrees latitude (i.e., Minneapolis and St. Paul, Minnesota). That’s amazing, when you consider that window boxes expose plant roots on at least two sides as compared to relatively sheltered garden plants. If you prefer an abundance of perennials and fewer annuals, consider trailing plants like common ivy, Euonymus species like “Coloratus” (which turns a deep purplish red in winter), Sweet Potato Vine, a beautiful, rugged and dependable addition. or Vinca (periwinkle) for the front of your window box. Annual choices should include Helianthemum, or sun roses. H. mummularium “Wisley Pink” will produce three-foot trailers loaded with single-layered pink flowers that look like wild roses. Geraniums are an all-time window-box favorite, and for good reason. Available in every shade from purple through chalk white, these hardy plants provide a wealth of luxuriant flowers and magnificent foliage to match. But geraniums are overused, so consider marigolds, asters, nasturtiums—even pansies, which love the cool weather and fill in until summer annuals reach their optimum bloom. If you want to be truly original, fill the center of your window box with attractive herbs. Choose basil, lemon thyme, and fragrant “Salem” rosemary. Or plant oregano and harvest once a month for winter meals of spaghetti, lamb, or stuffed poultry. Whatever you plant, be bold. Be brave! Go “where no man (or woman) has gone before.” Most of all, enjoy your window box efforts. So much beauty in so little space! Can you see yourself learning to make an authentic Linzer torte with a professional pastry chef in Austria? Canoeing through Strasbourg’s canals? Horseback riding through Fruška Gora National Park in Serbia? Taking a foodie tour of Rotterdam? Listening to a string and orchestra recital in a historic cathedral in Antwerp? Taking a private tour of Amsterdam’s famous tulip greenhouses? These are just a few of hundreds of different experiences available to passengers who travel by ship along Europe’s Danube, Rhine, and Main rivers. River cruises offer several advantages over ocean cruises: smaller passenger populations, excursions with a strong cultural or historical focus, and one price that usually (but not always) includes everything. 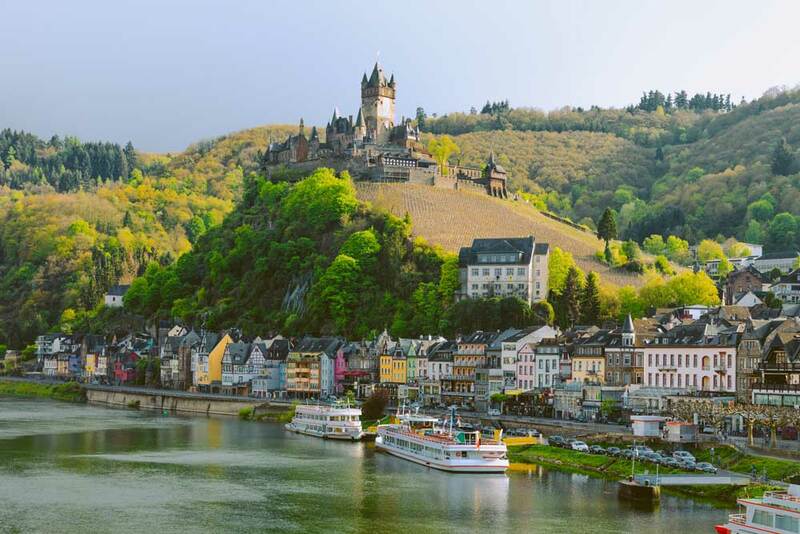 River cruises make more stops than ocean cruises and offer passengers constantly changing views. Unlike ocean cruises, almost all the cabins on river ships have outside-facing windows. On a typical river cruise, passengers spend half of each day ashore and only half a day on the ship, offering travelers a more sophisticated, cultured, leisurely travel experience. “A river cruise packs a lot of value into one package for any traveler, but especially for Boomers. Most river cruises include free guided walking tours, and some offer the use of bicycles for exploring. Add in three meals a day, wine at dinner, and cultural entertainment for a comprehensive travel experience,” says Hull. Europe is by far the most popular river-cruising destination, with ships traveling along all the major European rivers. You can also cruise the Murray River in Australia, stopping at historic country towns in the continent-country’s agricultural heart, with food and wine tasting trips available. You can travel the Nile in Egypt, the Amazon in South America, the Irrawaddy in Myanmar, or the Chobe in Africa. The list goes on. Cruises are available on every continent with navigable rivers. According to Travel Industry Wire, the most popular sailing months for river cruises are May and June, the most popular country destination is Germany, and the most popular cruise ports are Amsterdam and Vienna, with eight nights being the favorite cruise length. Choose a river and/or country you find interesting. Research destinations and make a list of sites you would like to visit. Then choose a cruise that matches your list most closely. Choose a ship that offers the level of comfort and services you want. Make sure you know exactly what’s included in the cruise price. Make sure that the cruise you want to take will sail at the time of year you want to travel; check off-season sailings for price deals. Advise the cruise line if you have any special dietary requirements. Bring comfortable shoes and loose clothes for walking. Pack clothes to match the season, with extra clothes for unusually warm or cold weather. Join the guided tours offered in each destination for an in-depth cultural and historic experience and consider paying any extra cost for side trips, if necessary, to round out your experience. (d) Misuses the property of an at-risk person in a manner that adversely affects the at-risk person's ability to receive health care or health care benefits or to pay bills for basic needs or obligation Financial Exploitation refers to the act or process of taking advantage of an elderly person by another person or caregiver whether for monetary, personal or other benefit, gain or profit.